Holy Baptism is full initiation by water and the Holy Spirit into Christ’s Body the Church. For the earliest period of Christian history, baptism has been the gateway into membership in the Christian church. Along with Holy Eucharist, Baptism is one of the two great sacraments of the church. The Baptismal liturgy is the outward and visible sign of the inward and spiritual grace of becoming a member of the Body of Christ. The service of Holy Baptism normally takes place in the context of the Holy Eucharist on Sunday morning or a major Feast Day. 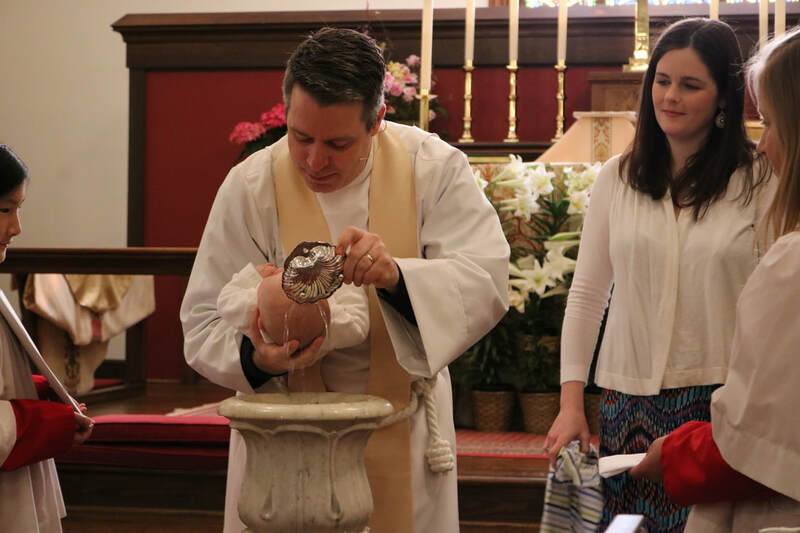 Holy Baptism is especially appropriate at the Easter Vigil, on the Day of Pentecost, on All Saints’ Day or the Sunday after All Saints’ Day, and on the Feast of the Baptism of our Lord (the First Sunday after Epiphany). For a list of dates of baptism classes and Sunday dates for 2018-2019, click here. For more information or to speak to clergy about possible baptism, call 410-974-0200.